–Corneal transplantation (keratoplasty) is a surgical operation in which the abnormal cornea is changed by a healthy cornea. 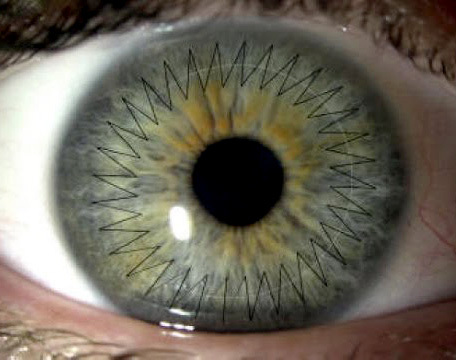 -Cornea is the most front transparent membrane of the eye that is present in front of iris and pupil. It is normally dome shaped, regularly convex, avascular ( has no blood vessels) , which focuses light – along with the lens – onto the retina to create a clear image. -Corneal diseases may either disturb its regular shape and convexity, as the case in keratoconus , or may damage its transparency which inhibits the light to pass through in a clear way. In both cases the formed image on the retina will be blurred and hazy. Hence, it is important to change this cornea by a normal healthy cornea which is regular in shape and transparent to get a clear image. -Conreal transplantation is a surgical operation performed by taking out the abnormal cornea from the patient’s eye, and then fix the new healthy cornea in place. The operation lasts for 1-2 hours. -There are 2 main kinds of corneal transplantation : The first is exchanging the total thickness of the cornea and fixing a new cornea by special stitches that are taken out 3-6 months after the operation. The second kind is exchanging only the inner layer of the cornea without changing the external layers . 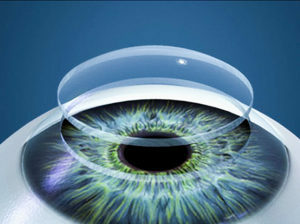 The specialist doctor will determine the best kind of corneal transplantation needed for the patient. -After the operation , vision may still be blurred because of the elastic nature of the cornea , and this may last for few months till the patient has the desired vision. -In some cases body rejects the transplanted new cornea inspite of using certain drops and medications. That’s why decision of corneal transplantation should be taken for only those who really have low vision that interferes with daily life. In these patients corneal transplantation is a must to improve quality of the life.